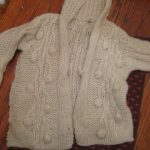 This blog finally gave me a good reason to do some ironing. Wrinkled projects don’t photograph as well, right? Particularly for quilted projects, sewing patterns, etc. I needed a larger pressing board. Before delving into the world of creative crafting and home decorating, I simply did not want to waste any of my time to ironing. On shirts or sheets.Everyone who knows me personally, knows that, until recently, I did not own an iron nor even an ordinary ironing board. For creative souls, this portable custom-sized DIY pressing board idea is genial. It sits on top of your washing machine or your craft table. Wherever it suits you most. You make it to suit your workspace. Brilliant. Pretty: makes you happy to look at it and almost consider ironing fun …. 1. Cut a piece of particle board to the desired size. 2. Cover it with batting, and optionally a flannel sheet. 3. Staple a pretty cotton cover over the sheet or batting. Hi Amy, that was EXACTLY my response! These big foldable ironing boards are ugly and just a nuisance. 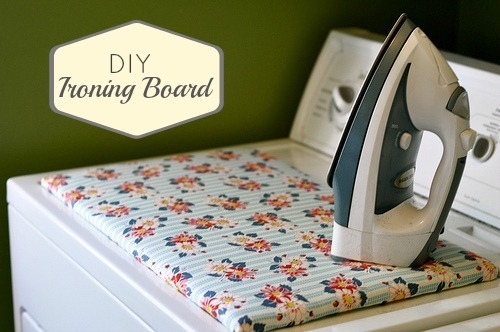 This, instead is perfect for that quick ironing job everywhere. Yes, I love it too! Hope it;s useful for you.